The torn screen door banging against its frame. A pale looper caught up in a breeze not quite summer, but harbinger just the same. But we can sense the change. Welcome to Summer. Did you sense a change in your part of the world? 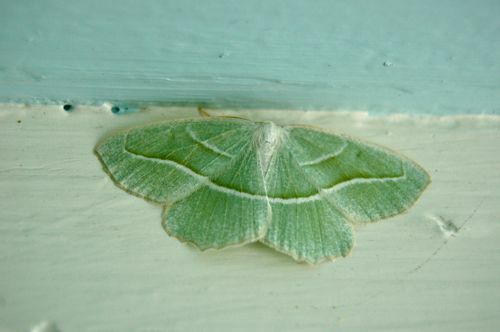 Photo: Campaea perlata “Pale Beauty” on my porch ceiling. They’re very common. . . but pretty just the same.